Why the unusual speed of Canadian’s death sentence in China? 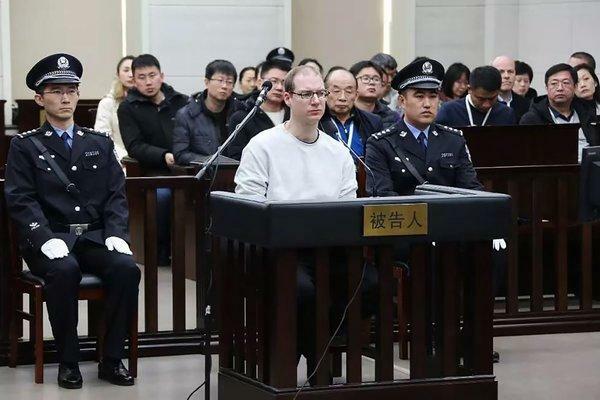 “It is very unusual for a Chinese court to pronounce a death sentence only one hour after the end of the trial” said to Deutsche Welle an utterly surprised attorney Zhang Dongshuo after the Dalian People’s Intermediate Tribunal – a city in north-eastern China – sentenced to death for drug trafficking Robert Lloyd Schellenberg, a 36-year old Canadian citizen. It is not the first time that the authorities of the People’s Republic have ordered the execution of a foreign citizen for drug-related offenses, but the deat sentence against Schellenberg looks like a retaliation connected to the arrest in Canada in early December of Meng Wanzhou, financial director of Huawei and daughter of the founder of the Shenzhen technology giant. “These unreasonable speculations are a vulgar vilification of the law of the People’s Republic” wrote the Chinese newspaper Global Times. If Robert Lloyd Schellenberg’s destiny is now intertwined with the solution of the diplomatic stalemate between Beijing and Ottawa, the judiciary procedures followed in this case appear to be flawed. At the end of 2014, Schellenberg was arrested on charges of trafficking more than 200 kilos of methamphetamine, yet it took almost four years to reach the first sentence. On 20 November 2018 the court of first instance condemned Schellenberg to serve 15 years in prison. The Canadian defendant appeals against the ruling, but in the meantime, Huawei’s top manager is arrested at the Vancouver airport upon request of the United States. Thus, the Chinese Foreign Ministry summons the Canadian Ambassador and threatens “serious consequences” if Ottawa authorizes the extradition of Meng to the United States, where Huawei’s top manager risks a conviction for bank fraud linked to alleged violations of sanctions against Iran. To increase pressure on Justin Trudeau’s administration, Chinese authorities also ordered the arrest of two more Canadian citizens – a former diplomat, Michael Kovrig and a businessman, Michael Spavor – on charges of threatening the national security of the People’s Republic of China. In addition, the director of the Global Times, Hu Xijin, published a video-editorial on Weibo stating that unless Meng Wanzhou is given her freedom back, “China’s revenge will be far worse than the arrest of a Canadian”. So Robert Lloyd Schellenberg is turned into a pawn in the diplomatic tensions between China and Canada. In late December, the judicial authorities of the People’s Republic of China ordered that the decision of the court of first instance be reviewed. Set against the seriousness of the crime, the sentence is judged “too light” and so, only two weeks after the end of the review, Mr. Schellenberg is condemned to death after a trial of a few hours. Furthermore, it is telling that, as Mr. Schellenber’s lawyers pointed out, not single piece of fresh evidence or any significant testimony has been presented in the new judicial proceedings so as to justify the severity of the sentence. Zhang Jianwei, a law professor at the Tsinghua University in Beijing, said that as China and Canada are stuck in a diplomatic dispute, the review of the ruling raises “the suspicion that the judiciary in China is merely a servant of politics, and it hurts the international perception of China being a country governed according to the law”.